*JoAnn’s last name is withheld out of consideration for her family who are still Mormon. In the mid 1800s, Mormon missionaries travelled throughout the United States and Northern Europe, preaching Joseph Smith’s new gospel. These early Mormon missionaries found a warm welcome in my ancestors’ homes. 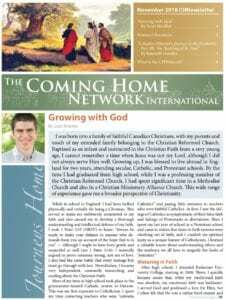 My mother’s progenitors were middle class cotton farmers in Florida who opened their doors to the missionaries and soon converted to the controversial new faith. My mother, over a century later, was thus born and raised a Mormon while growing up in the Bible Belt. My father’s ancestors welcomed the missionaries into their Danish farmhouse and, after converting to the faith, immigrated to Utah, thus paving the way for my father to be born and raised a Utah Mormon in the following century. When my father turned 19 he like most young Mormon men, served a two-year mission for the Mormon (also called the Church of Jesus Christ of Latter-day Saints or LDS) church. It was during this time that he met my mother who was the daughter of the mission president. Shorty after my father returned home from his two years of service, much to his delight, my mother attended Brigham Young University in his hometown of Provo, Utah. After a brief courtship, my parents married in a Mormon temple and eventually settled in Bountiful, a suburb of Salt Lake City. My father held a steady government job and my mother dedicated her energies to rearing our growing family of six. My parents were loving and kind and my siblings and I enjoyed a stable and secure childhood. Growing up in Bountiful, Utah was a safe and secure experience. All of my friends and neighbors were Mormon and the LDS church was the central hub of our social and religious lives. I was never exposed to other religions or church services, nor did I feel the need to be since I was lucky enough to be born into the “only true church on the face of the earth.” I was taught to have faith in the Godhead, which comprised God the Father, His created, literal son, Jesus Christ, and the Holy Ghost. I was also taught to pray, study LDS scriptures, and attend church meetings, but, most importantly, to prepare myself for future temple worship. Church leaders talked in reverential tones about the profound spiritual experiences that awaited me in the temple and admonished me to live my life worthy to participate in its sacred and mysterious ordinances. I looked forward to the day when, as a young adult, I could enter those sacred temple doors and gain the knowledge necessary to attain my eternal destiny. After high school graduation, just like my parents, I attended Brigham Young University. It was during this time that I felt the first faint stirrings of discontent with my religion. All my life, I had been taught that a woman’s place was in the home and that obedience to God centered on her not working outside of it. Marriage was portrayed as the fulfillment of a young girl’s dream and the only role models available were domestic ones. From the pulpit, it was taught that only men are endowed with priesthood authority, while women are to obey and serve in supportive roles. As a little girl, I had absorbed this ideology without question, but as a young woman with budding career aspirations and an independent streak, these teachings began to anger me. I felt caught between a rock and a hard place trying to reconcile my emotions with the mandate to obey church authority and accept church teachings without question. My irritation grew as the prophet at the time, Ezra Taft Benson, warned young women not to work outside the home and instead to find joy in keeping house and rearing children, while my male university professors publically criticized working mothers. On more than one occasion, I was rebuffed when I asked a male professor for career advice. Though I concurred in valuing family and motherhood, I refused to believe that these were the only roles a woman could hold in society. It did not seem fair that a woman was defined and limited by motherhood while a man could be a father and still achieve in other life domains. When I vocalized my frustrations to my peers, I found little if any validation. Women’s marginalization and limitations were ascribed to God’s will rather than to man’s prejudice thus giving a divine stamp of approval upon the practice and conveniently avoiding censorship within Mormon society. It annoyed me that the majority of LDS women married young, had little earning power, internalized a sense of inferiority, and largely deferred to men. I vowed to be different and prided myself on taking college seriously, earning a degree and travelling internationally. After several years of study and travel, however, I grew increasingly lonely as most of my friends married and moved away. During my senior year of college I fell in love with an engineering student and we soon became engaged. My plans for graduate business school became a source of contention during our engagement since my fiancé, like most Mormon men, felt that a woman’s place was in the home. I eventually gave up my aspirations for post-graduate schooling in order to keep the peace. In preparation for my wedding, I attended the temple for the first time. All my life I had looked forward to this sacred moment but the experience, far from being a climatic spiritual event, left me feeling uneasy and bewildered. I did not understand what the endowment ceremony was all about, and the handshakes and hand gestures seemed odd and, I was ashamed to admit, rather ridiculous. Since everyone assured me the ceremony was extremely sacred, and that given time and repeated temple visits I would understand its eternal significance, I assumed the problem was mine and persevered despite my misgivings. After marriage and college graduation, my husband and I found work in the Midwest and it wasn’t long before I discovered I was pregnant. Years of struggle to reconcile career aspirations with cultural expectations came to end when I gladly resigned my position at the birth of my son. I became what every faithful Mormon wife was supposed to be: a stay-at-home mother. Awhile later, I bore another son and the years I spent raising my boys were deeply rewarding and joyful. Now that my sons are older I realize how fleeting their childhood was and I am grateful circumstances allowed me to be home with them. Perhaps even if I had been encouraged and empowered to pursue a career, I would have interrupted a professional life to raise my sons. However, the option to do so should have been mine all along in a climate free from religious and cultural coercion. My husband and I formed a tight knit group of friends in our Mormon ward (local congregation), most of whom were transplants from Utah like us. I dutifully held the positions to which I was assigned within the church and tried to meet the expectations of being a good Mormon wife and mother. However, as the years rolled by, these expectations began to feel more and more heavy, and I grew increasingly unhappy with the LDS church. Since I was taught it was the only true church on earth, and its teachings infallible, I saw my discontent as a sign of spiritual weakness, and I suffered a great deal of anguish and guilt for having them. I felt ashamed to admit that my religion had become a heavy burden, but the truth was, I felt controlled, devalued, unworthy, and exhausted from trying to meet its demands. Worship within Mormonism occurs in a tiered format, with Sunday services held at a common church building open to all and more sacred services held at a temple site where only the most devout members are issued permits (called “recommends”) and allowed to enter. Mormon doctrine teaches that temple worship, along with faith, repentance, and good works, is an essential requirement in order to live with God in His highest heaven. The essence of temple worship centers around making promises to God and learning and repeating certain handshakes and hand gestures, called ordinances. Upon death, God supposedly requires believers to perform these ordinances in order to gain admission to His presence. Those believers that can do so, and have obeyed all the other tenants of Mormonism, will supposedly be gifted in the next life with not only God’s presence but with eventual exaltation, which is the privilege of becoming gods of your own world in the eternities. The privilege to enter the temple is contingent upon a list of criteria. Members must first pay a ten percent tithe and submit to yearly interviews with church authorities to determine their worthiness. They are expected to wear church-issued undergarments that do not accommodate the wearing of sleeveless or short apparel. They must avoid all hot drinks and alcohol. They must regularly attend church meetings and accept church assignments willingly. Members can always choose not to fulfill these requirements and still attend Sunday services, however, they would not be allowed to worship in the temple and thus theoretically will be shut out of God’s highest kingdom. Meeting these requirements resulted in running on a treadmill of exhaustion. The irony was that, even though I often fulfilled the criteria to attend the temple, I still left there feeling confused and angry. The years of preserving in temple worship had not resolved my discomfort with this form of worship. I simply could not understand why the sovereign God of the universe would make entrance into His kingdom contingent upon knowing secret handshakes and code words. God, it seemed to me, was a bureaucrat, and a highly provisional one at that. From the cradle I had been told I was saved only after all I could do and as an adult, it became agonizingly apparent I could never do or be enough. Though I had accepted my role as a wife and mother, I was still pained by the status of women at church. Since LDS teachings declare that men are the only ones gifted with God’s priesthood, they are the only ones empowered within the organization. Women are thus unauthorized to bless others in God’s name, even their own children. This exclusion and discrimination continued to cause me deep pain and anger. To say that my discontent created a predicament would be an understatement. My husband and I had married with the intention of raising our children in the church and following in the tradition of our ancestors. Much of my social network involved church members and, though my parents had long since abandoned the Mormon faith, my in-laws were highly active in it. I felt hemmed-in on all sides by other’s expectations and by my prior commitments. I came to dread Sundays. I was so busy running a household and raising my children that I was able to put my doubts and discontents on the back burner where they quietly simmered for years. Eventually however, those discontents boiled over and demanded my full attention. What turned up the heat and forced me to confront this issue was, unfortunately, a tragic loss. My older brother, at the age of 36, was killed in a motorcycle accident. I was devastated. My brother’s death forced me to realize that my life would also end someday and thus I’d better be sure I was living an authentic one. His death gave me the courage to finally accept my misgivings about Mormonism and to take the first faltering steps outside the LDS world. For a people pleaser indoctrinated since birth with the idea that my eternal salvation rested on accepting LDS teachings, this was a difficult thing to do. Over the next eight years, however, I slowly withdrew from the Mormon religion one step at a time while I began an intense period of deep questioning and searching. Mentally, I set aside the rigid ideology ingrained into me and considered other explanations about God. I intently studied the major religions of the world, even Buddhism and Hinduism, as well as New Age spirituality. I read hundreds of near death experiences. I explored the wider Christian world and attended a variety of church services. I participated in inter-faith prayer groups, attended Christian women’s conferences and read voraciously. Every step I took outside of Mormonism was fascinating, but also frightening and threatening. I was a stay-at-home mother with two children and no job. I wasn’t sure what my quest would cost in terms of personal relationships, but I knew I had to continue. My marriage was in a state of upheaval and disequilibrium for several years as my husband was deeply hurt by my choices. During this time I suffered from his anger, disappointment, and emotional withdrawal. I walked increasingly in solitude with God, learning to rely on no one else but Him. Thankfully, my spiritual quest did not cost me my marriage though it would have if I had made all the changes that were to come abruptly. As it was, I took slow, incremental steps away from the LDS church, was discreet about my spiritual quest, and allowed my sons to continue in the LDS faith. This measured approach gave my husband time to adjust to and eventually accept the monumental changes happening in my life. Prayer also played a huge role in helping my family during this difficult time. During this period of searching, I read about a woman who claimed to have messages from God. I found her writings posted on the Internet and began to study them. These writings, coming from the pen of a simple housewife and mother, were astounding and touched my heart in a profound way. The messages spoke of God’s passionate love for the human soul, the real Presence of Jesus in the Eucharist, the role of Mary as Queen of Heaven, and the authority of the Pope as Christ’s vicar on earth (all new concepts to me). The writings were interwoven with references to Bible verses and I soon developed a deep hunger and thirst for more of God’s Word. I joined a formal, non-denominational Bible study and for the next four years explored the writings of Isaiah, John the Beloved Apostle, Paul, and Moses. A whole new world opened up. Although I had been taught from the Bible all my life, I was told it had not been translated correctly and could not be understood without LDS interpretation. It was always the Book of Mormon that was heavily emphasized in church meetings, while the Bible was seen as more of a supplemental text. Now, for the first time in my life I was reading the Bible without external commentary, nor through the LDS lens. I slowly came to recognize the depths of disparity between LDS doctrine and biblical teachings. Though words such as “God” “salvation”, “atonement”, and “priesthood” were used in both Mormonism and the Bible, they had different meanings. It was confusing and took a long time before I could identify all the ways I had been misinformed. I was also stunned to learn that the early Apostles warned believers of the very thing that the founder of Mormonism had done…preach a different gospel (see Galatians 1:8). Though I had initially stepped outside of Mormonism due to my unhappiness with the controlling and discriminatory nature of the religion, I had never questioned many of its foundational teachings. Now, I was horrified and shocked to realize that for all my life, I had been taught doctrine that was fundamentally flawed. Like fireworks going off in a dark sky, each time I studied God’s Word, a new insight or truth would illuminate my understanding and leave me in awe. I came to realize that the Bible is trustworthy and the inspired, holy Word of God (see 2 Timothy 3:16). As the Bible makes crystal clear, there is, has been, and only ever will be one God — in this universe or in any other (see Isaiah 46:9). I learned that ancient temple worship centered exclusively on animal sacrifice, which Christ’s death on the cross made obsolete. With deep relief I came to understand that human beings’ hearts, not stone and mortar buildings, are the only temples God requires (see Acts 17:24). I learned that all believers who follow God in sincerity and truth have the opportunity to be together forever in heaven, not just those that can lay claim to LDS temple worship. During these years I continued to sample other church services, yet from the mystic writings I had read, I became more and more interested in the Catholic Mass and began attending once a month. Like all the other church services I sampled, I would sit in the back, talk to no one, and feel a little scared and guilty for not worshipping with my family. At first, I had no clue what was going on, yet over time, I came to observe that the Catholic Mass always centered on Jesus Christ. From the Old and New Testament Scripture readings, to the recited praises and affirmations, the Mass is a jubilant celebration of Christ’s sacrifice. During the service, the priest speaks for only ten minutes or less and thus no human interpretation or commentary takes away from this sacred Christ-centered focus. What a contrast to LDS services where worship consists of talks from lay members concerning subjects as obeying church leaders, attending the temple, or reading the Book of Mormon. 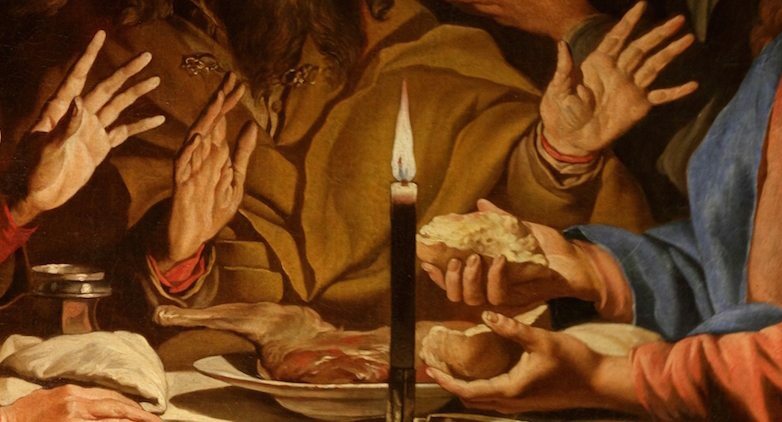 From my monthly observations of Mass, I came to identify how the concept of the Eucharist differed from my previous understanding of the Lord’s Last Supper. Whereas during an LDS service the sacrament of breaking bread was performed in memory of Christ’s past sacrifice on the cross, and the broken bread a symbol of that ancient event, the Eucharist was that very sacrifice itself, perpetually being offered upon the altar. The broken wafer isn’t a symbol of Christ’s sacrifice; it is Christ (see Mark 14:22). This great truth took time to sink in. Meanwhile, I was impressed and comforted to see men and women both participating in the Mass as lectors and Extraordinary Ministers of Holy Communion. My relief at such inclusion was just a promise of the thrill that was to come when, after my own baptism in the Catholic Faith years later, I was invited to lay my hands on another sister and bless her in God’s Name. I was stunned and overjoyed since all my life I had been told such privileges only belonged to men. I cannot fully express what a deep comfort it is to know that I am included and have an equal share in the holy priesthood of all believers through Baptism (see 1 Peter 2:9). God, it turned out, was not withholding and biased after all. Nor was He exclusive and conditional in allowing me inside His sanctuaries. One day, weeks before my baptism, I recall sitting in the chapel feeling such gratitude that I could be there without having to pass a series of interviews, fulfill a list of requirements, and carry a permit. I could sit in God house without having to prove myself worthy of the privilege! Another wonderful discovery that unfolded for me during these years was my recognition of who Mary is and the role she plays in the Church. As a child I had been taught she was just a peasant girl whose task ended when she bore and raised Jesus. To the contrary, I came to understand that Mary was the first disciple and played a key role in the early Church. More amazing is the fact that she still participates in her Son’s redemptive work and appears around the world to encourage lives of conversion and prayer. I came to sense how deeply Jesus loves and honors His mother and how much He wishes His followers to do likewise. More and more as the years passed, I wanted to partake of the Eucharist, yet I didn’t see how I could make such a final and radical change without permanently alienating my husband. I told myself I would join the Catholic Faith once my boys were safely raised, but God had other plans. One day while driving, I turned on the radio and caught a conversation between a Catholic priest and a call-in listener. The listener explained how he wanted to join the Catholic Church, but was reluctant since his wife belonged to a different religion. The priest responded by telling the man that he should not delay if the Lord was calling him. I rolled my eyes and thought that might work for this guy but he’s not married to a Mormon. Just then, the caller explained that his wife was Mormon. My ears perked up, I got goose bumps and listened intently as the priest recommend a book entitled Inside Mormonism by Isaiah Bennett (Catholic Answers, Inc. 2001). You can bet I bought a copy right away! It is amazing how God works, using coincidences of perfect timing such as this. The book the priest mentioned was customized perfectly for me, since it clearly outlined LDS and Catholic teachings and revealed the discrepancies between them. The book validated the misgivings I had had about Mormonism, as well as cleared up the last lingering confusion left over from LDS indoctrination. With every last question seamlessly resolved, I mustered my courage and informed my husband of my decision to join the Catholic Faith. He regretfully, but graciously, accepted. Within months, I officially revoked my membership in the LDS Church and signed up for RCIA classes. A year later, I joyfully stood in the baptismal waters and made my espousals to God. Now my feet are firmly planted on solid ground, on a tradition going back thousands of years to the dawn of Christianity, a tradition whose leader comes from a long line of successors, the first of whom was appointed by none other than Christ Himself. I now participate in true worship with its ancient, scriptural underpinnings, and the living Presence of Jesus in the Eucharist. This rich tradition is in stark contrast to the religion of my birth, which was founded on the unscriptural claims and writings of a 19th century farm boy from upstate New York. Due to this farm boy’s writings, I had mistrusted the Bible as the living Word of God and lived under the concept of obeying rules as a way to gain salvation. I had been taught that divine love was highly conditional and that grace was not a gift but something I had to earn. God was presented not as the mysterious, ineffable source of all creation, but simply as an evolved human being who meted out salvation much like an insurance agent issues a policy: with little passion and lots of contingencies. As a result of such indoctrination, I had been plagued with feelings of anxiety, inadequacy, and alienation towards my Creator. Now, thanks be to God, my soul is at peace and I rest secure knowing that the Lord’s unfathomable grace and mercy are gifts to be received with deep thanks, not to be earned in anxiety. Instead of dreading the Sabbath, I now joyfully come to Mass every Sunday and, with deep gratitude, partake of the Eucharist, knowing that it is indeed the living Presence of my Lord and Savior, disguised in the little white host. The complexity and resulting stress of my previous comprehension of Jesus Christ’s Gospel is now pared down to the beautiful simplicity of biblical truth. The shackles of my former understanding have fallen away and my spirit soars free. JoAnne is a fifth generation Mormon wife and mother who was called out of the LDS church to discover the living presence of Jesus Christ in the Eucharist.